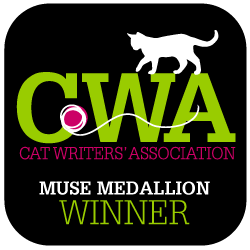 Sometimes it's hard to know when cats don't feel well -- they can be masters at hiding pain. Their symptoms might even mimic a completely different health or behavior issue. Cats can be confusing! One health concern that's sometimes difficult to recognize is Feline Lower Urinary Tract Disease (FLUTD), which is a group of diseases that affect both the bladder and urethra in cats. Sometimes FLUTD is caused by urinary stones or crystals. It's way more common that you might imagine. In fact, my Saffy has struggled with this very situation on and off for several years. We thought our 14-year-old Saffy had litter box issues and showed signed of anxiety, which are warning signs for FLUTD, but can also indicate other situations. We knew something was off because she began consistently urinating on any clothing she'd find on the floor. We made sure the boxes were super clean and even tried a different type of litter, but nothing helped. We decided it was time for a vet visit. After discussing Saffy's symptoms and gathering information from an x-ray, we finally knew what was causing the inappropriate urination -- she had a few crystals in her bladder, which thankfully explained her behavior. Gender: Although both males and females experience urinary tract disorders, a male's longer and narrower urethra is more likely to be obstructed by crystals and mucus. Breed: Persians seem to have a higher incidence of FLUTD, while there are less cases with Siamese cats. Age: Cats ages 2-6 are most often affected by lower urinary tract disorders; however cats of any age can be susceptible. Activity Level: Indoor cats, who are more sedentary than outdoor kitties, are at a higher risk for developing FLUTD. This may be because less activity leads to less water consumed, which leads to less urination and the formation of crystals. Diet: Recent studies indicate urine pH and concentration are important factors in the development of FLUTD. Increased water intake is a vital component in reducing the risk of developing the disease. Purina Pro Plan Veterinary Diets UR Urinary St/Ox Feline Formulas promote increased water intake and encourages a urinary environment unfavorable to the development of struvite and calcium oxalate crystals. 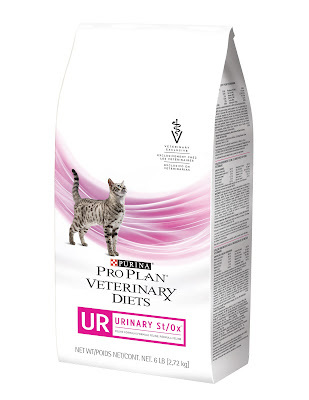 The wet and dry formulas are commonly prescribed by veterinarians for the nutritional management of cats with, or are predisposed to, FLUTD. Purina and Catladyland have two special offers for you! 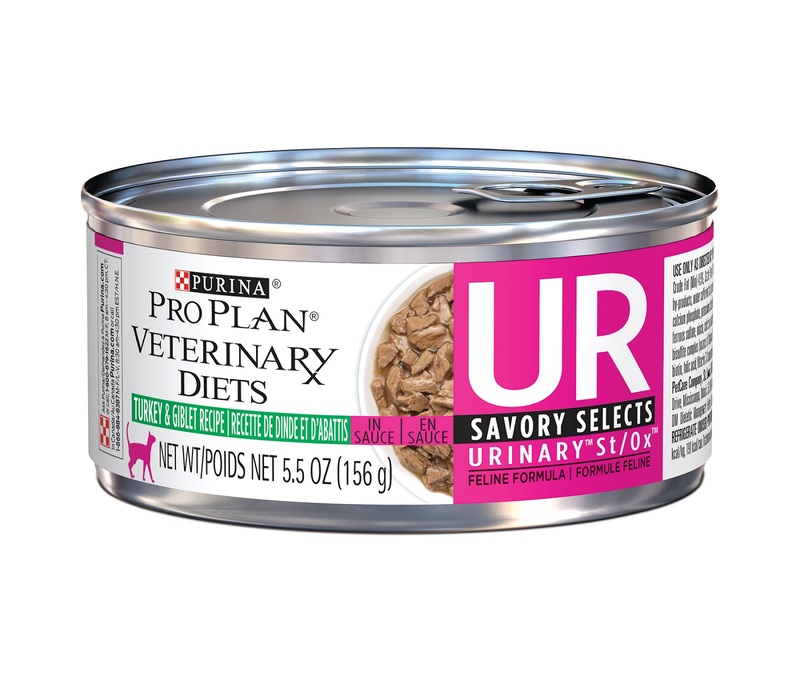 Click here for a $15 off mail-in rebate for the new UR Urinary St/Ox Feline Canned Formulas. You can also enter to win one of two coupons for a free bag of the same formula. Enter via the below widget. U.S. residents only. Two winners receive one coupon each which must be redeemed at a veterinary clinic. Giveaway ends 10/8/15, at 11:59 PM CDT. This post is sponsored by Purina. Catladyland only shares information and products we feel are relevant to our readers. Purina is not responsible for the content of this post.